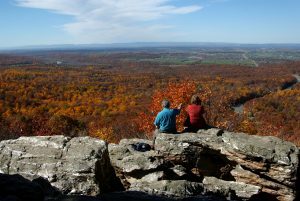 Every year, Virginia is #1 for showing its vibrant colors for the fall foliage fanatics! For those who live in a Cornerstone Homes community, you can sit in your sunroom, courtyard or patio and take in the view or stroll the neighborhood sidewalks or walk the trails in the woods or by the lake, and enjoy the scenery. But because of our perfect locations, you can also hop in the car and in a jiffy be at another spectacular spot to peep the leaves. In beautiful Richmond and beyond, the seasonal burst of colors is always a sight to see. 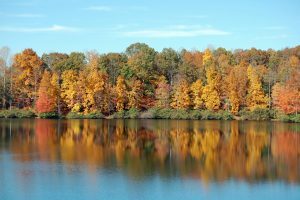 If you’re a “leaf peeper” who can’t get enough of this time of year, Cornerstone Homes is the perfect place to be! While you’re out exploring, you can enjoy every minute knowing you don’t have to worry about raking your leaves! 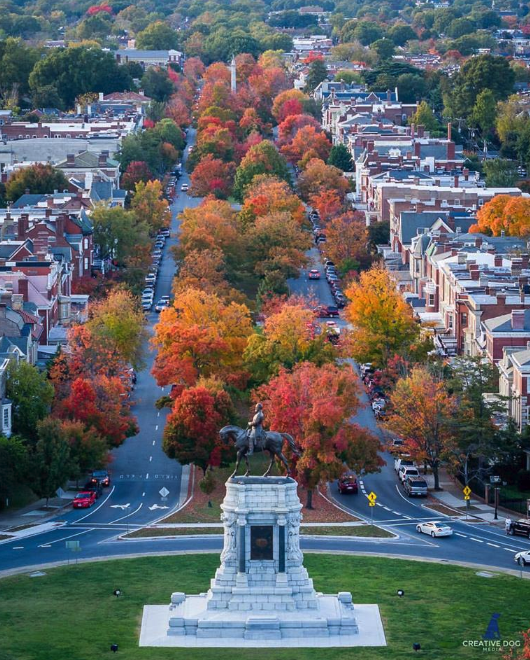 One of the most beautiful Avenues in the United States, it is even more breathtaking this time of the year. Cobblestone streets, turn of the century homes, and monuments add to this spectacular tree-lined street. Hike the trails along the James River and cross the James to Bell Island. Views of the City and the River are awe-inspiring. With creeks, a pond, and a lake, Forest Hill Park is a relaxing place to unwind and soak up the beauty by the water. You can even take a leisurely hike for some incredible views! Sprawling fields, a stunning pond, and lush trees make up this friendly park, which celebrates the simple joy of being outdoors. Have a picnic on the grass as you photograph your favorite fall view. 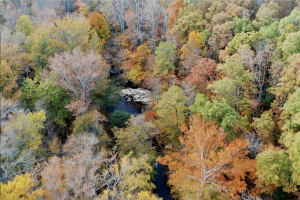 Look out onto the scenic and historic James River from this hilltop, where you’ll love to sit, reflect, and recharge among the gorgeous foliage all around you. This view seems to go for days! There’s something about the reflection of fall in the water that makes the heart swell. This lock that connects the James River with the Richmond Dock was built in the 1950s and continues to be a beautiful outdoor staple of Richmond to this day. There’s a reason why people sing about the Blue Ridge Mountains. This natural wonder provides some of the most breathtaking fall views you’ll ever experience. Get out and explore! There’s no better place to peep the leaves than this picturesque park in Charlottesville. Filled with peace and calm, it’s a perfect area to roam around and feel the fall spirit. This gem of a winery has a view of the mountains near Charlottesville and a perfect spot for a picnic or a gourmet lunch in their restaurant. Ride along the Blue Ridge Parkway or hike Hump Back Rocks – all close to Wintergreen resort. Nestled between Maurertown and Toms Brook, this family-friendly park is great for the grandkids! With a playground, birding trails, and more, there’s so much for everyone to do. Oh, the joys and freedom of maintenance-free living. There’s no better time than this fall to lock and leave your home, and peep! Join the Cornerstone club and feel the freedom!